Sorry, I do not want to be a spoilsport, but would it still be possible to take care of the table itself !? which table are you talking about? All, check the attached patched files based on files provided by MightyDuck. 1.05 is live now, I'e send koderkrazy the new DLL's, I hope he will update it soon. The firstpass dll already contains the changers needed for the console. Are you sure you've provided original file or patched file? ok guyz try and let us know. What else would be included in the table other then skill points and gold? Health? Item duplication or manipulation in any form? Close Cheat Engine before closing game. I used your Assembly-CSharp.Patched.dll without the Cheat Engine. Anyway, the game is saved with crash, so it's okay. F6 does quick save. So keep hitting it time to time, and before closing game. I've modified the dlls for steam copy of Two Point Hospital v1.0.20902 . ... Edit: Junkers80 confirmed Assembly-CSharp.Patched.dll works on steam. Thanks, Junkers80! The console also works on the hacked version. But rare crashes when you exit the game. 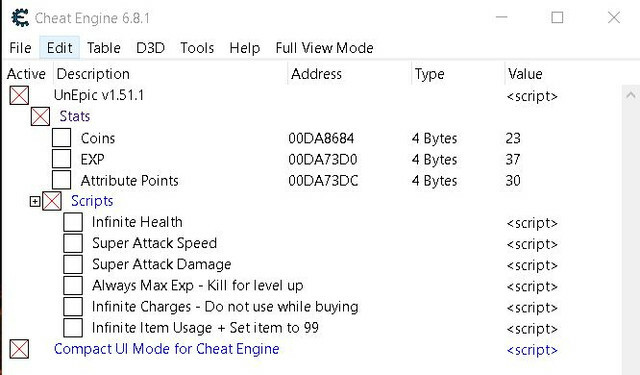 Close Cheat Engine before closing game.